Courthouse Libraries BC is very grateful for the efforts of the many contributors to the current edition of Legal Help for British Columbians. Cliff Thorstenson is a lawyer at the Nicola Valley Advocacy Centre in Merritt, British Columbia. A lawyer since 1987, Cliff practises mainly in the areas of aboriginal, criminal and poverty-related law. He has a wife and three adult children and has resided in the Nicola Valley for the past 25 years. 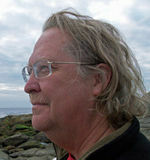 Cliff is the founding author of Legal Help for British Columbians, and has been instrumental in expanding the scope and reach of the Guide with each successive edition, including its transition into a Clicklaw Wikibook. Nathaniel Russell is a liaison lawyer with Courthouse Libraries BC and the project coordinator of Clicklaw Wikibooks. 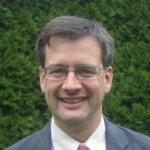 He is the chair of the Clicklaw Wikibooks Advisory Committee and acts as volume editor for JP Boyd on Family Law and Legal Help for British Columbians. 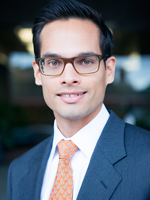 He was called to the BC Bar in 2006 and is a 2005 graduate of Dalhousie Law School. 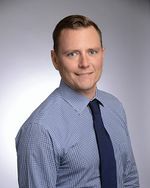 Nate practised family law and civil litigation at small firms prior to joining Courthouse Libraries BC to develop legal information and training resources and to better connect small firms and solo lawyers to new and traditional information resources. Nate is an active voice on law and technology topics through his weekly contributions on Slaw, Canada's online legal magazine, and as a Pacific Legal Technology Conference advisory member. Prior to entering law, Nate worked as a communications consultant for internet startups and the CBC Television. 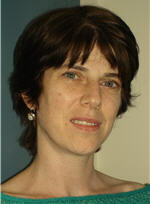 Rochelle Appleby is a lawyer who has worked primarily in the area of immigration and refugee law. She was a legal aid staff lawyer, managing lawyer of the Legal Services Society's Immigration and Refugee Law Clinic and a legal aid policy analyst. She also worked as a protection officer for the United Nations High Commissioner for Refugees. 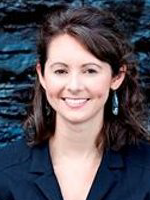 Rochelle currently focuses on legal policy development and the design and implementation of legal projects. Rochelle wrote the immigration section of the wikibook Legal Help for British Columbians. 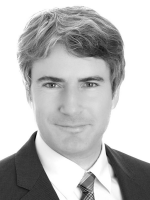 John Bilawich practices litigation with the Vancouver, BC firm Holmes & Bilawich. He a member of the Board of Governors of the Trial Lawyers Association of BC and past Chair of the Civil Litigation - Vancouver Section of the Canadian Bar Association, BC Branch. John helped review the section on civil litigation, titled Suing and Being Sued, of the wikibook Legal Help for British Columbians. Neil Chantler is a lawyer and the proprietor of Chantler & Company, a boutique civil litigation firm with offices in downtown Vancouver, BC. He has a special interest in matters involving civil liberties and police misconduct, and frequently represent individuals with claims against municipalities and the Provincial and Federal governments. He has appeared at all levels of court in BC, before several tribunals, and in two public inquiries, the Missing Women Commission of Inquiry and the Commission of Inquiry into the Death of Frank Paul. Neil helped review the Complaints about Authorities section of the wikibook Legal Help for British Columbians. Kaity Cooper helped review the human rights section of the wikibook Legal Help for British Columbians. She graduated from UBC Law in 2010, where she received the Law Society Gold Medal and Prize. After clerking at the Court of Appeal, Kaity joined the Community Legal Assistance Society where she worked in the areas of human rights, workers’ rights and housing. Kaity has represented clients before administrative tribunals and all levels of court, and has argued a number of systemic cases which have advanced the rights of disadvantaged persons, including a Court of Appeal case which affirmed the accessibility of the human rights scheme. Kaity joined the legal department of the Hospital Employees’ Union in 2015 where she continues to advocate for the rights of workers. Lisa Ferguson has worked for the Community Legal Assistance Society's Mental Health Law Program since 1991. Hired after graduating from Simon Fraser University with a degree in Criminology, Lisa's main area of responsibility is representing civilly committed individuals at Review Board hearings under the Mental Health Act. Lisa helped review the mental health section of the wikibook Legal Help for British Columbians. 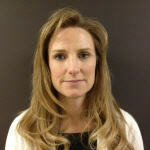 Lisa Jean Helps is a criminal defence lawyer in Vancouver. 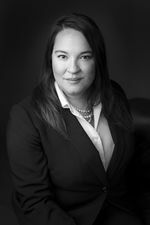 Lisa has over ten years of experience in criminal law and has been counsel at the British Columbia Provincial, Supreme Court and Appeals Courts and at the Supreme Court of Canada on a wide range of criminal offences. Lisa helped review the criminal law section of the wikibook Legal Help for British Columbians. Drew Jackson is a lawyer and librarian in Vancouver, BC. He is passionate about making legal information more accessible and understandable. In various roles he has developed legal publications and programs for the public and the legal community. While working with Courthouse Libraries BC, he led the creation of Clicklaw Wikibooks. He works as a Legal Content Developer with People's Law School and on freelance projects that help people understand the law, such as Transitioning an Existing Society: A How-to Guide for Non-profits in BC and the consumer and debt section of Legal Help for British Columbians. Audrey Jun is one of the Liaison Lawyers at Courthouse Libraries BC. She has worked in the legal non-profit sector for over 10 years. Audrey sits on the Access to Justice BC Engagement Committee, and is passionate about using technology to provide greater access to legal information. When not at the library, she practices with a boutique estates & trusts law firm downtown. Audrey wrote the personal planning section of the wikibook Legal Help for British Columbians. Stan Rule practices in wills, estates, and estate litigation with the firm of Sabey Rule LLP in Kelowna, BC. 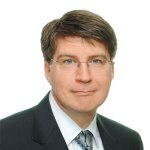 He is active within the Canadian Bar Association, the Kelowna Estate Planning Society, the British Columbia Law Institute, and the Continuing Legal Education Society. Stan maintains an active blog on estates and trusts matters, Rule of Law. Stan helped review the wills and estates section of the wikbook Legal Help for British Columbians. Andrew Sakamoto is the Executive Director of the Tenant Resource & Advisory Centre (TRAC), a non-profit organization that provides legal information to tenants and landlords in British Columbia. Andrew sits on the Clicklaw Wikibooks Advisory Committee and helped review the section on housing in the wikibook Legal Help for British Columbians, and oversaw the conversion of the Tenant Survival Guide into a Clicklaw Wikibook. Trevor Thomas is a lawyer with Kent Employment Law, where he advises employees and employers in the areas of employment, human rights and administrative law. Trevor was called to the British Columbia bar in 2010, and prior to joining Kent Employment Law in 2013, he practiced civil litigation at a boutique firm in downtown Vancouver. Trevor volunteers his time for a wide range of causes. He currently acts as duty counsel with Access Pro Bono BC. Trevor helped review the employment law section of the wikibook Legal Help for British Columbians. Alison Ward is a lawyer at the Community Legal Assistance Society in Vancouver, where she runs a Law Foundation-funded program called the Community Advocate Support Line. She provides legal advice and support to community-based advocates in BC who assist clients with poverty law and family law problems. Alison was previously a staff lawyer at the Legal Services Society (1994 – 2010) where she practiced poverty law and family law. Alison reviewed the wikibook Consumer and Debt Law and helped review the welfare and disability section of the wikibook Legal Help for British Columbians. 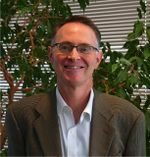 Stephen G. Wright is a senior subject editor for JP Boyd on Family Law, and is jointly responsible for the pages on Family Relationships. He also edits the family law material for Legal Help for British Columbians. Stephen practices family law in Vancouver. He was called to the BC Bar in 1991, and has presented courses and papers for Continuing Legal Education BC on child protection. Stephen helped review the family law section of the wikibook Legal Help for British Columbians. Allan Parker, QC and Drew Jackson for their instrumental roles in the development of the guide and its transition into a Cicklaw Wikibook. Pierre Bisbicis, Devyn Cousineau, Nicky Dunlop, David Eby, Janet Freeman, Jennifer Godwin-Ellis, Richard Hewson, Annie Kaderly, Len Marchand, and Jim Sayre for their contributions to past editions. Nate Russell, Liaison Lawyer with Courthouse Libraries BC and coordinator of Clicklaw Wikibooks, acted as the managing editor for this edition of Legal Help for British Columbians. Desy Wahyuni provided indispensable support for contributors in updating materials, and supplied technical and editorial support. Audrey Jun, Clicklaw Program Coordinator at Courthouse Libraries BC, provided editorial guidance and support for Legal Help for British Columbians. This page was last edited on 24 April 2017, at 17:27.